The once-green leaves have turned into a burning red tree. The fresh snowfall covering an untouched field transports you to a place of serenity. Your family members are beaming around the Thanksgiving Day feast or bright Christmas tree in the living room. The holiday season brings opportunities for people with a camera to capture the peak moments of fall and winter. But you don’t have to be a seasoned photographer with a professional camera in order to take a snapshot of the beauty around you. Spokane photographer and instructor at Whitworth University, Kirk Hirota, says that anyone has the potential to take great pictures, regardless of special equipment or experience. Anyone with a basic digital camera or even an iPhone can record their favorite moments around them. Here are a few tips that will help you become a better photographer this holiday season. Trees of orange, red and yellow are stretching across the horizon. The vibrant autumn sun peeks through the spaces between branches creating a shining halo. This scene is enticing to capture but it can be challenging to get the lighting and colors just right. When photographing outside, National Geographic recommends avoiding direct sunlight. A cloudy, overcast day is the ideal weather for photographing people. If it’s a sunny day, have your subject stand in the brightest patch of shade you can find. Hirota says that direct sunlight can be too harsh on the subject and will cause them to squint uncomfortably. Hirota recommends avoiding midday light. Shoot later in the day at the “golden hour,” or the hour span before the sun sets. However, this is a small window of opportunity. “Be patient and wait for it. It’s worth it when you capture the perfect shot at the perfect time,” Hirota says. Photos have the ability to tell a story. And one way to transport the viewer into the photo is to capture motion. Bring the photo to life. This can be done with one minor adjustment: Shutter speed. You can create a blurring effect if you capture a fast-moving subject with a slower shutter speed. If you use a faster shutter speed then you can freeze a moving subject in place. Imagine you are taking a family photo in downtown Spokane at Riverfront Park. The water rushes behind you in the background. You can create a silky, smooth effect of the moving water by using a slower shutter speed. “Choosing to highlight certain movements can create interesting dimension in a simple photo,” Hirota says. Another way to make your photos more interesting is to create depth. Purposely put subjects in the front, middle ground, and background of a photo. Keep the main subject in focus. For example, your subject is close to the camera, smiling with rosy cheeks and wearing a beanie. Directly behind them is a line of evergreen trees draped in snow. And in the background are sharp mountain ridges poking out the top. “A problem I see often is when there is a beautiful background, the photographer wants to capture the landscape so they stand far away from the subject. And then the people are so small you can’t even see the detail of their smiles,” Hirota says. A simple solution? Bring the people forward. Have them stand close to you and work the background in over their shoulder. Don’t neglect the details of humans. “We can capture more compelling art if we stop, slow down, and use our eyes to start to notice the small details,” Hirota says. This means looking all around you. Get a closer look at things you normally would walk past. And even try looking down. “You might see something at your feet and think that is a cool texture. Like the contrasting brown leaf against gray rocks,” Hirota says. Our eyes see at a horizontal wide view, so it can be more exciting to see things close-up. Editor-in-chief of Exposure Guide, Attila Kun, says that a landscape isn’t just about nature, so add people to compliment the scenery. But remember the rule of thirds and place the person in an off-center position to create interest. When photographing people, Hirota says to approach the subject from different angles and perspectives. This creates more diversity and interest than a straight on shot. The best thing you can do while taking photos is to try, try, try. You won’t take the perfect photo of your friend skiing at the top of the mountain on the first attempt. “Think outside the box, try new things and experiment until you get it right,” Hirota says. Studying for tests can be a tricky road to navigate. Whether you are studying for a high school algebra test, a driver’s test, or a college exam, it can be hard to figure out how to master. Especially for those entering college or even those already in college, it can be a scary thing to face head on. Some students arrive at college, get settled in, and don’t even think about what studying will look like for them in college. It can be quite daunting, even if they have effective study methods from high school. Some classes require memorization, while others require application. So, how do college students adapt to new ways of studying? Is there a way to study smarter and not harder? The answer is yes. This article will discuss effective study tools that can aid in college success. These tips of advice come from college students themselves and experts such as the Associate Director of Student Success at Whitworth University, Rebecca Blackburn. Use active studying, not passive studying. Noticed through research and observations, many students use passive studying for exams: they re-read through their accumulation of notes and then they re-write them. This can result in worse grades than if students use active studying. What is active studying, you ask? According to a book titled Active learning: Creating excitement in the classroom by Charles C. Bonwell, it is any type of learning within the classroom that encourages students to engage in the process and be intentionally thinking about what they are doing. Like previous research that has been done, Blackburn suggests that the best way to engage your brain is to quiz yourself using different methods without having the material in front of you. While active studying does take more time than passive studying, Blackburn says “it ends up being more of a bang for your buck,” because it boosts your self-confidence and tells yourself that you already know the material without it having to be right in front of you. The environment around us can help aid in our studying. If we are in places where it is loud and there are other things going on around us, we are more likely to get distracted, thus not being able to fully learn the material that we need to learn. Utilize the resources that your school has to offer. A lot of the time, students either aren’t aware of or don’t take advantage of the resources that their school has to offer. Whitworth has the Student Success Center, which offers one on one coaching and front desk hours for walk-in appointments. Find an environment to study in that is most helpful for you. Every individual has study spot that is enjoyable and cohesive for them. Whether that be a coffee shop, the library, or a different building on campus, it is still essential that individuals find a place that works best for them. Peach says that the best place for her to study is Robinson Science Hall, because of all of the whiteboards and the quiet environment there. Peach is able to sit and write out all her notes before talking with others about the material, which she finds to be extremely helpful. The Composition Commons is helpful for writing purposes, and the Educational Support Services office can help individuals get the accommodations necessary. Professors hold office hours and supplemental instruction facilitators do tutoring. All of these resources can be beneficial and are available for students throughout the year. When students reflect on their own study habits, it is essential that they understand what experts like Blackburn have to say. The good news for students is that it is possible to be successful when learning how to study smarter and not harder. In order to accomplish this, it is important for individuals to think about how they are studying, their environment, and the resources that are right around the corner. An adult grizzly traveling at 30 miles per hour can cover the length of a football field in just ten seconds. Have you decided to run? Play dead? Stand your ground? Chances are you are frozen, slack jawed and with soiled pants in the path of a squat and woolly Usain Bolt intent on giving you a “life flashing before your eyes” kind of moment we see in movies. However, a strong combination of proactivity, awareness, and skill can save your life by preventing this terrifying ordeal in the first place. According to Glacier National Park biologists, there are steps to not only increase your chances of survival in an attack, but to hopefully prevent an attack altogether. With so many people joining the “I’d rather be outside” movement, the potential for a bear encounter will likely continue to increase. This rise is due to the influx of more people blindly and unnecessarily putting themselves at risk in bear country while not taking adequate safety measures. Step 1: Do your research and use common sense. Knowing where you are is only part of the equation. Knowing if bears are fattening up in summer, mating in autumn, or hibernating in winter should dictate if it is wise to be in their territory. During spring-time, bears will be relentlessly search for food after emerging from hibernation, with female bears being extra cautious and irritable with two new cubs. These first weeks of spring will be spent trying to make up for the weight they lost from the five to seven months they were in their den. Autumn signals mating season, and male bears are out to eliminate any threat that will keep them from passing on their genes. And that threat includes you, Joe Hiker. But knowing immediate surroundings are only part of the safety equation. Researching if there is a high bear density and what species are in the area you are traveling through is important knowledge. Are you in Oregon, Washington, or Northern California? Then you are probably only going to see black bears. In Idaho, Montana, or Wyoming? Then the chances are higher that you just saw a grizzly. Step 1: Do not panic. Panic will further draw attention to yourself and activate a bear’s curiosity. Keep calm with deep breaths and remember that bear attacks are incredibly rare. Bears also sense fear and equate it with a wounded animal. Step 2: Do not look the bear in the eyes. Bears perceive eye contact as a threat and are more likely to charge if you are staring at them. Instead, use peripheral vision to determine your path. Step 3: Back away as carefully and quickly as you can without running. Bears are much faster than the average human, and running will only entice them to chase you. Drop your pack so you can move more efficiently and distract the bear. Step 4: Be ready with your bear spray or handgun should the bear continue to pursue you. Be sure to only use either defense method when you are sure your life is at risk. Doing so earlier can harm you and others around you. Does this mean you should stay at the cabin and play it safe instead of adventuring with the bears? The numbers say to risk it. Statistically speaking, you are approximately 350,000 times more likely to die from heart disease than being attacked by a bear. So get out there—experience the wild-ness of wilderness and whatever bear encounters it may throw your way… and live to do it again and again. Classic show cars, big lifted trucks and performance racecars all have one thing in common. A bright and shiny paint job; which is the result of a thorough cleaning. This article outlines a four-step process to help give your car a pristine commercial like appearance. Regardless if you choose to wash your car in your driveway, or at a commercial car wash, it is important to prep your supplies before you begin. A hose with spray nozzle will suffice, but a pressure washer is highly recommend as it can help remove more contaminants from the paint. A few large buckets, a stiff bristle brush and wash mitts are necessary to remove tough dirt. Lastly, a few products such as tire spray, high foam car soap, and a few plush microfiber towels for drying will help with the entire wash. The dirtiest part of any car is the wheels and tires. They are in constant contact with the road, picking up rocks, dirt and debris that can contaminate and damage the paint of the car. The first step is to gently spray the tires with water, getting in between the spokes of the wheel as well as the wheel well. Then spray your choice of wheel cleaner on the tire and wheel, scrubbing for a minute or two. “I try to use a tire cleaner that restores the shiny black finish on my tires, as well as the chrome look of my wheels”, explained Jay Zier a Whitworth student and owner of four vehicles. Once the tires are complete its time to rinse the car. The intent behind a touchless wash is to remove as much possible dirt without risk of scratching the paint. Using your hose and nozzle or pressure washer, spray the entire vehicle to get rid of lose mud or debris stuck on the paint. After rinsing the car off, the next step is to wash the car. Using a foam cannon or foam gun, spray the suds over the entire surface, coating the vehicle in a thick layer of foam. “I am a big fan of Adam’s Car Shampoo,” says Devin Willard, self-proclaimed car enthusiast, and owner of a 2500 Chevrolet Silverado. “It creates a lot of foam which helps protect the paint while washing, but also gives it a great shine,” said Willard. Fill two buckets with water and add soap to one of them. Take the wash mitt, dipping it into the soap bucket and begin washing the car. Dividing the car in half, top and bottom, can help ensure that no spots are missed while washing. “Wash the car in long straight strokes…this reduces the risk of swirl marks and scratching the paint” says Scott. Dip the mitt into the rinse bucket to remove contaminates from the fibers, before dipping back into the soap bucket, and begin washing the car again. After the car has been thoroughly washed, use the hose to rinse off any remaining suds, dirt or grime that remains on the car. The final step is drying. Take the plush towels, working from top to bottom dry the car. Letting the car sit after it has been washed will leave dried up watermarks on the paint, and all the time spent cleaning it will have gone to waste. Be sure to apply minimal pressure to the car, let the towel do all the work, folding it as needed to expose a dry side to finish drying the car. Whether you just bought your first car, you are looking to sell yours or you just want to spruce up the Prius you drive to work each day; follow these steps and your car will look like new in no time. Pear, apple, hourglass, rectangle. Is this a recipe for a funky fruit salad or are these words describing body types? Picking out an outfit can be challenging, but it can be made even more difficult when words similar to those stated above get thrown at you. Looking good and feeling good can be the recipe for the confidence most of us search for. Who doesn’t love to feel good about themselves? In this article, we will go in depth into body type analysis and what clothes flatter each body type. There is a reason that there are some clothes in your closet that you wear all the time. You know what I’m talking about, that one sweater that seems to make its way into all of your outfits. Or that one pair of jeans that fits just right. But there are also those pieces that you bought, put in your closet and have never taken out again. When you are buying clothes, it’s important to consider the style, cut and silhouette of the piece. Stitch Fix is an online clothing store that sends you personalized pieces, hand-picked by their stylists. They say that while everyone is uniquely special, there are four main body types that people generally fit in. They are all beautiful and have certain cuts that flatter them better than others. The first one we will talk about is the pear shape. You may have this body type if your bottom half is wider set than your top half. Another body shape is the apple. You may have this body type if your shoulders are widder than your hips and don’t necessarily have a well-defined waist. A third body type is the athletic or straight type. This could be you if your shoulders and hips are about the same width. Then, there is the hourglass or the curvy body type where your bust, and hips are about the same width, with a well-defined waist. She explained that it can be hard sometimes to tell what body type a person has by just looking at them. She explained that the stylist steps in then and tries to pull dresses that might flatter their figure more. According to the Adrianna Papel website, a company that specializes in formal dresses, a pear-shaped body can easily create a balance by adding volume to their top half. They recommend a structured jacket to accentuate your top half and A-line skirts to minimize your bottom half. For the apple shape, things that show off the shoulders and legs work well. Loose, more organic style tops and low-rise pants compliment this figure. For the athletic build, you can really create a nice look by wearing more form fitting clothes that accentuate your waist. Tight pants and pencil skirts do this well. For the hourglass shape, since your body is the most proportionate, your clothes should be following the same structure. Wrap dresses that synch at the waist, flatter beautifully as well as wide leg pants and tailored blazers. Dressing for your body can be a feat for anybody. There is so much terminology that it can become confusing. Just knowing your body type can help you make conscious decision that could have your closet rivaling that of any model. Keeping these tips in mind can make it easier to find a style that suites you. However, it is important to remember that as long as you feel good, that’s all that really matters. Imagine being a college student who is living off campus, taking 18 credits and playing a collegiate sport. With all of that, imagine trying to find the time to nourish your body to be able to reach full potential while performing. This is the life of senior soccer player Kenzie Popp and many other Whitworth student athletes. College students have enough on their plate. without the added stress and time of athletics, yet hundreds of students at Whitworth do just that. Athletes are constantly being told to fuel their bodies for peak performance but are not told how to do so. Understanding the reasoning behind proper nutrition is important. “It is probably just as important as anything else an athlete would do…it is another building block to an athlete’s premier performance,” said Lambert. Overall, always make sure you are getting enough to eat. Athletes eat substantially more than the average college student or person, and there is nothing wrong with that; in fact it is necessary. Often in peak training, three meals will not provide enough sustenance for athletes. Rather, eating six smaller nutrient-packed meals is a better option. This can be hard to fit into the busy lives of student athletes but will prove to have great benefits. Stay hydrated. This is one of the easiest parts of our diet to control. The common problem comes with timing. Many athletes believe drinking a lot of water the night before a game will be enough. Popp countered this and said, “Dietary choices should be lifestyle choices and not just day of choices,” yet this goes for more than just our choices of food. Hydration can include replenishing electrolytes with a sports drink as well. This is especially important after high intensity, high endurance workouts. Get adequate protein. The best way to do this is through natural foods. There are many myths that athletes need to supplement natural protein sources with synthetic proteins such as powders. Though this is not unhealthy, our bodies are able to use natural proteins more easily than synthetic products. Along with this, aiming to have protein in every meal is a good start. Do not get caught up in nutrition crazes. Lambert explained that athletes should not be concerned about losing weight. Diets can lead to unhealthy habits and are often promoted by and for athletes giving them the idea it is something they should partake in. “It is hard to eat as much as you should when so many outside sources are telling you to go vegan or try this diet or count calories,” said Lambert, but this can be dangerous and lead to calorie deficit or other health problems. Make sure you eat on performance day. Eating before any kind of athletic performance is essential. Nerves can affect appetite, making us feel like we cannot or should not eat. “Some people may even think they perform best on an empty stomach, but chances are you don’t,” Lambert said. She advises athletes to plan for a meal they know they can eat before performing, a meal that has both protein and carbs. Not eating can lead to fatigue ultimately affecting performance ability. Overall, the three most important nutrients athletes should ensure they get are proteins, carbs and healthy fats. Proteins help build and sustain muscle while carbs are responsible for energizing the brain. Healthy fats are good for overall health as they reduce our risk of heart disease and lower cholesterol levels. A great way to get these three power foods is through a snack recommended by Lambert: energy balls. The idea is to use a grain, a nut butter and chocolate chips. Not only is a healthy diet essential to the demanding lifestyle of collegiate athletes, but easy to implement into daily life if taken one step at a time. You’ve listened to the same five songs on the radio over and over. You’re ready for a change. Why not try classical music? You might have heard of the benefits of classical music like giving you better sleep and increasing relaxation, but you’re still not sold. Here are four tips to help you enjoy classical music even if you think you won’t like it. A concert at the symphony is going to be a very different experience from other genres, but that’s no reason to shy away. Dr. Richard Strauch, professor of music history at Whitworth University and second trombone in the Spokane Symphony, says often first- time symphony goers are surprised how easy it is to engage with the music. “People think you have to come in and sit and be quiet like you’re in church and worship at the altar of Beethoven, and it’s just not like that,” Strauch says. There’s not a set list of rules to follow. If you’re ever not sure what to do, just watch the people around you. Generally, if a piece has several movements, (individual movements make up an entire piece) don’t clap in between them, just at the very end. If you’re nervous about when to clap, just wait for the conductor to turn around to the audience. It’s always a good idea to be in your seat before the concert starts. It’s considered impolite to come in or out of an auditorium while a piece is being performed, plus you wouldn’t want to miss any music. Classical music is different, and in some cases, unfamiliar compared to the music we listen to on a regular basis – it has different demands, and that’s OK! When you listen to classical music, it helps to know a little about the piece you’re trying to listen to. If you’re at a concert, take a quick look at the notes in your program. These will give you a little context to the pieces being performed. “If you go into a classical music concert with the expectations of another genre, you might be frustrated… but if you engage with the mystery behind what goes on on stage, there’s 67 people doing all the same thing, but not all the same thing, and somehow they create something that really goes beyond the individual… that’s really amazing,” Strauch said. A live performance offers color and texture that a recording can’t. If you actively engage classical music, you’ll appreciate it much more. Denin Koch, a recent Whitworth graduate currently pursuing his masters in music from Eastman School of Music, believes witnessing the live collaboration of a symphony is truly a unique experience. “I do believe that there are elements of classical music that cannot be found in any other genre that are truly breathtaking and soul-nurturing, especially experienced live,” Koch said. When you listen, think of it like a soundtrack to a movie. What would be happening? Who would the characters be? Music is made to evoke images and narratives which create an emotional connection. Logan Pintor, a Whitworth student currently pursuing his undergraduate degree in trumpet performance, has been going to symphony concerts since he was a kid. “It’s incredible to enter a space where a wide spectrum of atmospheres and emotions are cultivated,” Pintor said. You can also think about what a composer was trying to say with a piece. Often composers write in response to the world around them. For example, Shostakovich Symphony No. 9 was supposed to be a victory symphony for Stalin’s victory over Nazi Germany, but Shostakovich wasn’t a fan of Stalin so he wrote circus music instead. Classical music is complex and sometimes you listen to a piece once and you don’t “get it” or understand it. It’s ok to listen to it again. You’ll notice things you didn’t the first time around and gain insight to a piece. “Very rarely do I listen to a piece on the first try and think “‘wow I want to listen to this again’” usually if I do, I’ll eventually get bored, but sometimes you get this sense that a piece really has something to it and I want to hear it again,” Strauch said. Don’t be afraid of listening to a piece a few times before deciding if you like it. It’s fine to have personal preferences. The world of classical music is large and you will eventually find something you like. Have you ever watched a movie and fallen in love with the soundtrack? Odds are, some of the music was inspired by classical music (yes, even hip hop and pop!) Classical music is one of the building blocks for music as we know it today. You can hear classical influence in everything from Star Wars to Bruno Mars. “You’ve got to find your own way in. If you come to a classical concert and it’s baroque string music… that might not be for everyone,” Strauch said. If you hear something you like, don’t be afraid to do a little research, it might lead you to more music you like. Want some good places to start? Check out the playlist here. Classical music is complex. Music is the only temporal art form. It can only happen the same way once because its medium is time. But if you choose to engage it and let it evoke images or narratives, classical music can be extremely rewarding to listen to. When Abebaye Bekele, 21, first applied to Whitworth University, she thought she was applying to a school in Washington D.C., an easy mistake for someone from Addis Ababa, Ethiopia. After realizing Washington state was quite different than Washington D.C., Bekele decided to talk to some fellow Ethiopians who had moved to Seattle years before to hear about what it was like to live in Washington state. “They told me that there was no snow, but they forgot that the east side of Washington is very different than the west,” Bekele said. After three years in Spokane, Bekele remains convinced she does not like the snow and misses the sunshine. Bekele found flexible application deadlines and sufficient financial aid at Whitworth University. Before she knew it, Bekele was boarding her first plane for a 14-hour flight, alone, to Spokane. “I don’t think my family and I knew what we were getting into,” Bekele said, as she reflected on her Whitworth experience. Bekele is in her senior year now and is studying political science with a business minor. Nicholas Vasiloff has been the director of the International Education Center at Whitworth for two and a half months. He stated that there are currently over 100 students representing 35 countries at Whitworth, which is the highest representation of diversity of countries in Whitworth’s history. This past year, Whitworth doubled the funding and staff to recruit international students. Vasiloff said that the primary way of contacting prospective Whitworth students is through connections with high school guidance counselors across the world. The high school counselors find students they believe would be a good fit at Whitworth and then encourage those students to apply. One of the biggest concerns for international students is the cost of the tuition at a private school. Whitworth gives international students and domestic students the same access to all scholarships and grants. If a student can pass the English language requirement, they are welcome to all resources at Whitworth. Once students arrive at Whitworth, it is the university’s job to support them, especially when these students are extremely far from home. Bekele said she has only gone home to Ethiopia twice during her past three years at Whitworth. Whitworth has made inclusion and diversity a part of its core themes. This commitment to diversity includes encouraging international students to come to Whitworth and creating enjoyable experiences during their time in Spokane. The International Education Center host events that spotlight different countries so that domestic students can have a glimpse of the differing cultures of their peers. The International Festival will be held in Nov. of 2018 and will include dances, food, and history lessons about other cultures. Whitworth University encourages students to study abroad while their time at Whitworth. According to Whitworth Admissions, 47 percent of the graduating class studied abroad during their four years. Cheree LaPierre, 21, is a Whitworth senior from Washington. She traveled abroad to China for the month of January in 2018. LaPierre will be venturing with 25 other students to Rome, Italy for Jan. 2019 to study art and history. LaPierre said that once she got a taste of life outside of the United States, she couldn’t help but want more intercultural experiences. Whitworth is dedicated to “an education of the mind and heart” according to their mission statement. International opinions and study abroad trips give Whitworth students access to perspectives that reach far outside the pinecone curtain and can broaden their understanding of reality. If a student had the choice to study biology in a classroom or in the rainforest of Central America, it would be safe to say they would choose Central America. Many students enter college under the impression that studying abroad is not only an experience they must have, but one that is always doable. This is the false message students are receiving. Gabriel shared her experience from her May term trip to Ireland. It was a political science trip that focused on conflict in their country. She mentioned having the opportunity to talk with those who have been personally affected by bombings and other attacks in their country. She could not emphasize enough how important the interactive piece was to her learning. She said, “you get goosebumps…it’s one of those moments you go woah. This isn’t just a history book, it’s real.” This is the feedback many students give after experiencing school abroad that pushes other students to partake in these trips as well. Both Gabriel and Bruns said study abroad is an experience that is hard to get post-graduation and therefore should be taken advantage of now, if possible. This unspoken pressure does not stem from Whitworth, but rather other students sharing their experiences. It is hearing about positive experiences students have that make them want to partake in study abroad. Though traveling abroad is expensive no matter what, scholarships and grants are available. Whitworth offers a needs-based travel grant of $600 that is advertised to students at the study abroad fair every year. Other potential aid includes specific departmental scholarships as well as those from outside organizations. With that being said, not all students are aware of these scholarships as Gabriel mentioned she had not heard of them as an option. Many students wonder where all the money goes. Gabriel shared that it is strictly used for airfare, lodging, transportation within the country and meals, and Tappa affirmed it all. Any leftover money is given back to the student as a stipend. Tappa wants to assure students that this extra money is not paying the salaries of those running the trips. May factors go into the decision to study abroad; interest and applications are just the beginning. This experience may not be perfectly available to all students, but if able to make it work, most students who have gone would agree with Bruns as she said, “I think the benefits and the costs equalize themselves in a way.” There is not much more we could ask for. On a Monday morning in June, 16 terrified at-risk and homeless children, sat on the edge of the pool at the local YMCA without knowing how to swim. Family Promises Children’s Activities Coordinator, Gabrielle Gevers, was tasked with teaching children ages four to 12 how to swim. Gevers, a recent Whitworth graduate, spent her summer at Family Promise of Spokane, planning activities for homeless youth through the Summer Fellowship Program. It was through this experience trust that was built between herself and the untrusting children she spent her time with. 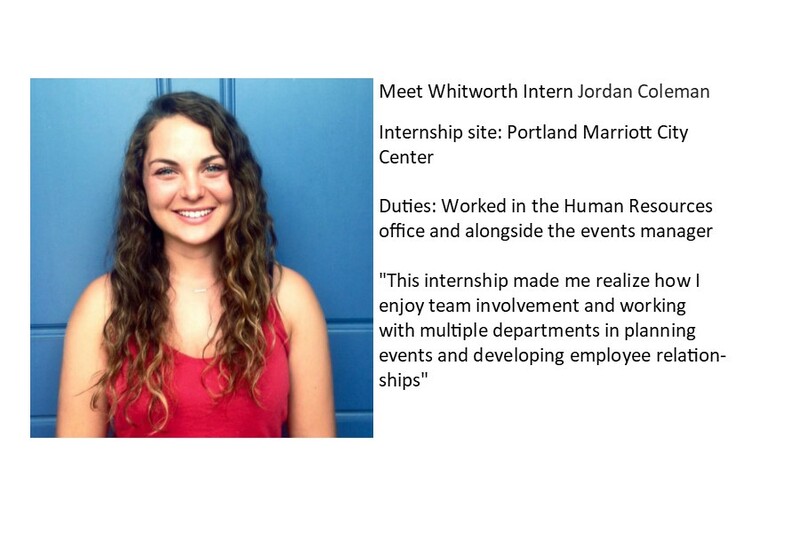 Whitworth University offers a Summer Fellowship Program. The Summer Fellowship Program is a 10 to12 week summer internship equipped with a stipend, homestay, and mentorship while working in full time ministry. Kathryn McInturff, summer fellowship program coordinator, describes this program as an opportunity to be “thrown into what the chaos of what ministry is” while being mentored. 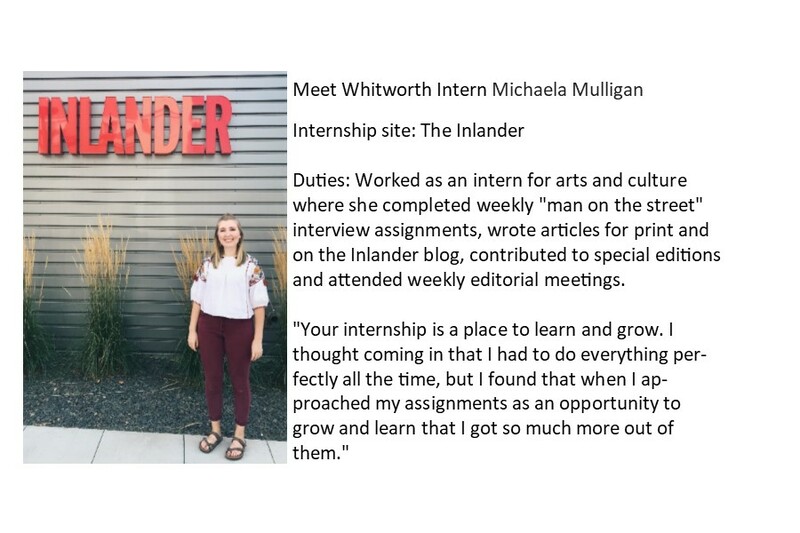 This mentorship does not only come from the Office of Church Engagement at Whitworth, but also the ministry site that the student is placed with. This program is not only for students who want to go into ministry as a full-time career. Noah McDonald is a student ambassador for the program. “I think the reality is, that it is difficult to have a 10 to 12 week program that you are a part of, when real careers and real jobs start up post college. It is hard to pick up and go somewhere for 2 or 3 months to try something new and then just leave,” said McDonald. McDonald, a senior education major, wanted to be a part of this program while he was in college because he knew he was not going to have the opportunity to do full time ministry once he starts teaching full time. He just finished his second summer having a fellowship. For his first summer he was La Jolla, California, at La Jolla Presbyterian Church, working as a youth intern. The Summer Fellowship Program just finished its fourth year and has grown exponentially in the last year. The summer of 2017, the program placed 51 students to ministry sites. This year, summer 2018, 100 students applied, 72 got placements within 40 organizations, everywhere from Spokane to Scotland, according to McInturff. Like McDonald, many students are placed in churches, but ministry does not begin and end in a church. So, the program partners with businesses as well as other organizations such as non-profits. Both the organization and the students go through an application and interview process by the Office of Church Engagement, to place students with an organization that would best fit their gifts, talents, and passions, said McInturff. The application for the Summer Fellowship Program for this upcoming summer is due November 15th. McDonald encourages any students who are considering applying for the program to apply and see where they get placed. When thinking back on the summer, Gevers recalled the moments that meant the most to her. “To see the progression of a four-year-old who cried for the first couple weeks at swimming lessons, and didn’t want to get in the pool at all, put her feet in one week. Then would be held by me in the pool, to then put in face in the water while I was still holding her. But then would do it by herself, and by the end of the summer she was jumping into the pool fearlessly. Three long months of learning how to trust but also learning a new skill and finding joy,” said Gevers. Any student can take the risk, like these young children and jump into something they have never done before by trusting it will bring opportunities of growth and new skills they can obtain. Whitworth wins the National Christian College Forensics Association National Tournament! Street Address: 2929 W. Waikiki Rd. Compensation: No compensation; this internship would be for academic credit only. Saint George’s School is a private, independent, college-prep day school. Located on the Little Spokane River just 3 miles from the Whitworth campus, the school’s 120-acre campus provides a rich learning environment for 385 students in grades K-12. Saint George’s outstanding teachers inspire student scholars, athletes and artists to serve and lead others. Fall and winter/spring are busy seasons for events and projects at Saint George’s, so an intern will have the opportunity to explore a variety of engaging activities. 1. Writing – The intern will gather information and write brief news articles for weekly parent newsletter; write news releases to the media; draft text for online ads and Facebook postings; edit letters and documents from other departments; and interview and write feature articles for SG Magazine. 2. Photography – The intern will take photos and/or shoot video of school activities in classroom, theater, outdoor and athletic settings; sort photos and use PhotoShop to prepare them for posting on the school website; and edit video for website or admissions marketing uses. 3. Design – The intern will design infographics, yearbook layouts, and a variety of print publications from postcards to major admissions brochures. 4. Publications – The intern will gather information and images to create or update existing publications, including pages of the SG Magazine, admissions brochures, the student yearbook, and publications for major events. 5. Website Management – The intern will learn to use the content management system for the school’s website; create website pages and update text and images on existing pages; and prepare newsletters for email distribution. 6. Social Media – The intern will manage one or more Facebook pages and an Instagram account; post news, photos and links on a regular basis; and recommend ways to increase their value to the school and its audiences. 7. Admissions Marketing – The intern will participate in Admissions marketing strategy sessions; help promote summer programs and camps; and assist with developing, redesigning or updating admissions marketing materials such as brochures, flyers, videos and online or print ads. 8. Event Promotion – The intern will be involved in planning for the school’s spring fundraising event and take an important role in preparing publications, promoting the event through social media, and helping in all aspects of the event. 9. Everything Else – The intern will participate in school events; assist the associate director for communications in media relations; and help respond to requests from faculty, staff and parents. An intern will work on several projects that could provide good materials for a portfolio. 1. Magazine Features – The intern would create at least one feature article in the twice-yearly Saint George’s Magazine, including interviews, writing, editing, selecting and preparing photos, and creating the layout. 2. Website Updates – The intern would be involved in the process of updating the school’s website, including editing text, selecting and sizing photos, and posting new content on the school website’s pages. 3. Other Projects – Depending on the intern’s design ability and the dates of their internship, they could create yearbook layouts, videos, photos galleries, ads and/or brochures. Specific projects would be identified at the start of the internship to meet the student’s portfolio needs. A desk, computer, phone and camera are available in the Communications Office for this intern to use. Saint George’s has a classic “small shop” non-profit communications office, so the variety of projects and the opportunity for an intern to learn new skills is almost endless. Writing for different audiences, taking photos and video that show students learning, exploring how the back-end of a complex website works, managing Facebook pages to build community, helping in event planning and execution, and creating admissions materials that communicate facts in an attractive way — it’s all part of what we do. This is a great place for a creative, energetic college student to discover the breadth of communication and marketing activities in an educational setting during our busy fall and winter/spring seasons. The mentor for this intern has over 30 years of experience in educational and corporate marketing and communications. 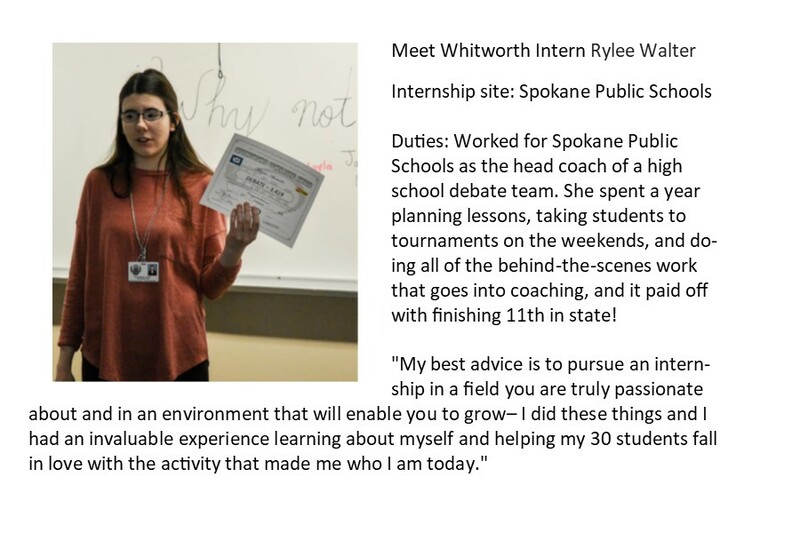 He has hosted Whitworth University student interns each year since 2011 (so knows what kind of internship would be valuable for a college student) and could really use some help telling the story of “the best school in Spokane” to Saint George’s internal and external audiences. 1. Energetic, teachable, and flexible attitude with ability to take direction and work independently. 2. Ability to write both in straight-forward news style and to craft an interesting feature article. 3. Interest in taking photos and/or shooting video to tell a story. 4. Design and layout ability is a plus but not required. 5. Fluency with social media and demonstrated ability to learn new computer programs (familiarity with InDesign and PhotoShop is helpful but not required). 6. 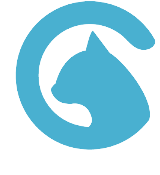 Ability to manage multiple projects and meet deadlines. The specific dates of the internship will be determined by the student and Saint George’s School. Desired start date would be the second week of February 2019, with the spring semester internship running until early May 2019. Student internships can be arranged for just one semester or for the full year. These dates allow an intern to experience a variety of activities over the course of the school year and to be involved through much of the spring semester. We recognize that the intern’s available hours and days will vary and the school can work around their schedule. An intern should be able to work between 10 – 15 hours per week, mostly from Monday – Friday during the morning or afternoon with an occasional evening or weekend event. Some students have chosen to split up an internship between Jan Term (1 credit) and the Spring Semester (2 credits). Saint George’s can work with students on hours and projects for this option as well.